Chaos in the corkscrew! Stone spun in heavy traffic. 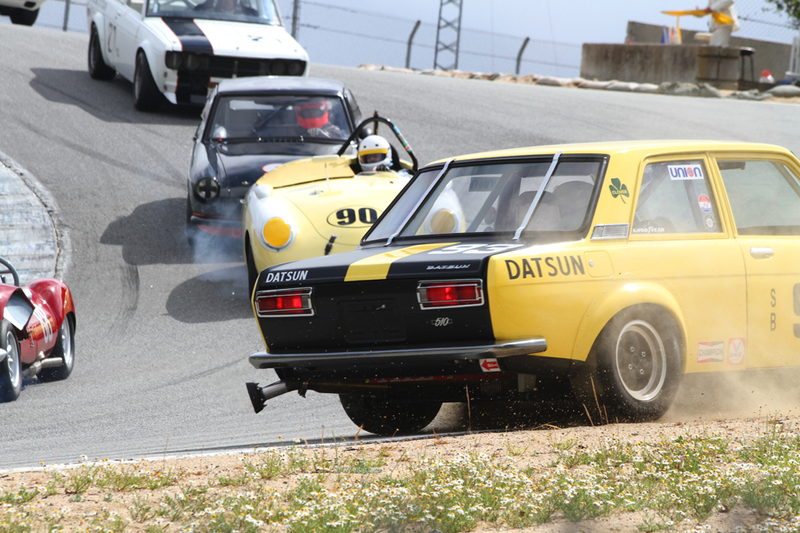 Everyone got through except #21 Martin Bealieu in his white Datsun 510. He ended up against the tirewall (right in front of me).